Tuesday's episode of The Flash provided several milestones for the series. It was the first official team up between Barry Allen/The Flash (Grant Gustin) and Wally West/Kid Flash (Keiyan Lonsdale), and it also provided fans with the first look at Cisco Ramon/Vibe (Carlos Valdes) in costume. As it turns out, 'Dead or Alive' also provided another milestone, albeit a much more bittersweet one. Zack Stentz, a producer and writer on the show, announced via his Twitter that he is stepping away from his behind-the-scenes involvment with the show. Hey all, big thanks to everyone who watched tonight's episode of @CW_TheFlash. Now for a little announcement. It's my last one. Stentz is no stranger to writing for television, having previously written for Fringe, Terminator: The Sarah Connor Chronicles, and even a 2003 episode of The Twilight Zone. On the film side, he has written screenplays for X-Men: First Class and Thor, as well as the upcoming reboot of Power Rangers. He is also on deck to write screenplays for Top Gun 2, the reboot of Big Trouble in Little China, and for a Booster Gold solo film, which is set to be produced by Flash showrunner Berlanti. Stentz contributions to The Flash will definitely be missed, and we look forward to seeing his work in the future. More The Flash News: Black Flash Confirmed For Legends Of Tomorrow / The Flash Season 3 Episode 11: Dead Or Alive Photos Released / Firestorm's Robbie Amell Is Back On Set With Caitlin Snow / Keith David To Voice Solovar On The Flash /The Flash Renewed For Season 4 / Flash Midseason 3 Trailer / The Flash and Supergirl Musical Crossover Villain Revealed / 5 Predictions For The Rest Of Season 3 / Will Gypsy And Cisco Be A Romantic Relationship? 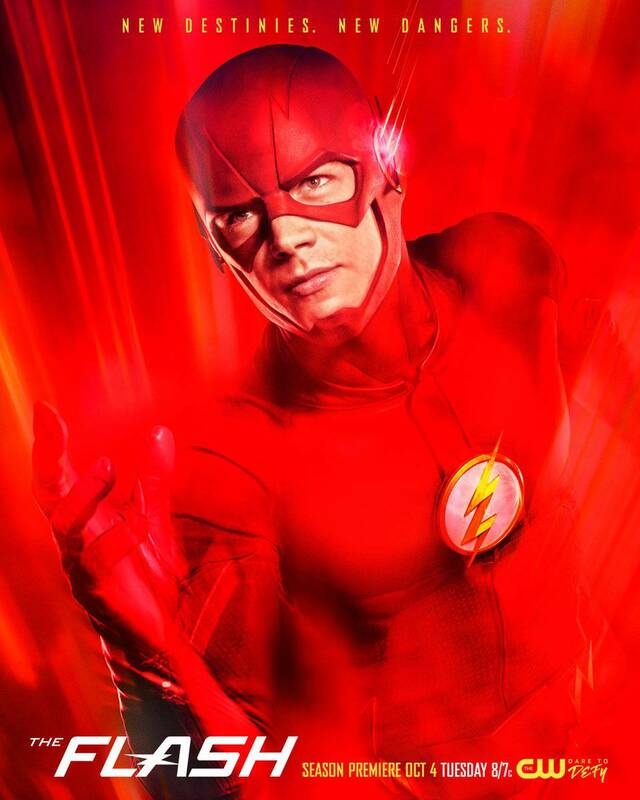 The Flash airs Tuesday nights at 8 p.m. ET/PT on The CW, followed by DC's Legends of Tomorrow.